Montreal electro duo Saxsyndrum have reunited with some old friends to deliver a brand new remix of Smokes' "Body Heat," and Exclaim! has got your first listen to the freshly reworked track. Back in Montreal in the mid-2000s, Saxsyndrum's Nick Schofield and David Switchenko teamed up with current Smokes members Nick Maas and Patrick Cruvellier to play in the now-defunct sax-duelling, prog-rocking outfit Bananafish. Now, despite moving in different musical and geographical directions, the group of musicians have been reunited through the power of remix. 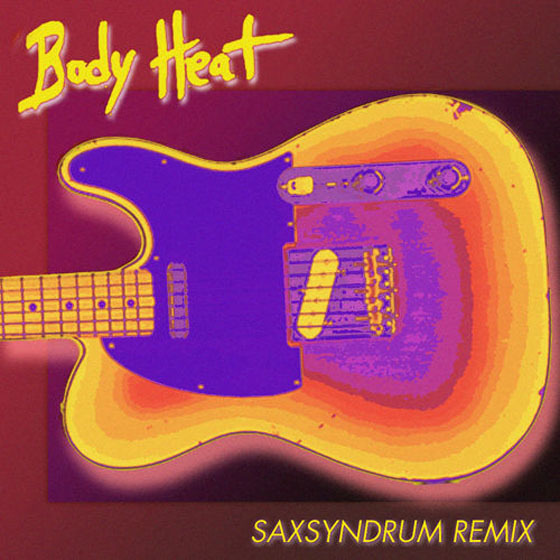 We previously shared "Body Heat" back in the fall, but now it's been given a makeover courtesy of Saxsyndrum. Injected with a healthy dose of — what else? — sax, synths and drums, the new version takes the listener down a darker, more mysterious, less melodic path. When Smokes asked us to put together their very first remix, we happily obliged. Nick Maas' dark, self-reflective lyrics in Body Heat speak of personal conflict, a battle with self identity. The songs explosive trajectory and the hook "why can't you say what you are" almost beg for resolution. As a listener, our personal connection with Nick gave this tune an even greater emotional impact. But, the tune is heart-wrenchingly concise; as quickly as it grabs your attention, it abruptly ends. When we put together the remix, we intensified the beat, exposed the tormented lyrics and extended the length of the entire piece to maximize the musically-induced adrenaline rush; all this as a way of releasing the tension we felt from the original. Both acts have a few live shows coming up, which you can see listed below. Scroll past the upcoming gigs to listen to the Saxsyndrum remix of Smokes' "Body Heat" below.